Please note: you many need to “re-load” the page, to see the many gifs that I have included, for your viewing pleasure! I love my work. One of my responsibilities includes running stress management and relaxation training groups on an inpatient chemical dependency unit. Typically the men (and women, in a separate group) adhere reasonably well to the “rule” about no food or drink in group. One of the men became irate, and got in my face… His actions startled me. I felt the muscle spasms running up my back, and into my neck. (As an aside: Many folks have asked me if I ever feel afraid, working on this locked inpatient unit. The short answer is no. Within seconds of this fella “getting in my face,” 5-6 of the other men immediately jumped up, encircled, and escorted the “unhappy customer” out of the group room. So I tend to feel safe and protected). I scream, you scream, we all scream for…. back pain? I finished the group, and made my way to my office. Pain level = 9 😩 (Really hurting by now. Hard to breathe). Sure, I could have gone home sick. I could have gotten an imaging study. I could have been provided with a “reason” for the (fairly excruciating) pain, such as a herniated a disc. And, I could have received a prescription for a narcotic — most deservedly so. 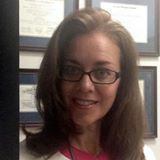 But I’m aware of the data that shows that imaging studies for more than half the the adult population — individuals that do NOT report pain — will show “bulged” discs; and over 27% of asymptomatic adults will show herniated discs. Even more striking: MRI scans will show that 60% of adults with no back pain will have degenerative disc disease. Armed with that knowledge, I felt less inclined to looks for “reasons” for my (now severe) neck and back pain. And, since the pain levels were well over a “4” I didn’t want to go chasing after the pain, with medications. Rather than brace myself against the pain, I decided to “lean into” and “breathe into” the pain. I’m well aware that pain medications don’t treat the “suffering” that oftentimes accompanies pain. And so, I finished my day at work. I saw some more patients, wrote consult reports, and worked on a presentation for an upcoming conference. All while trying really, really hard, to keep a sunny disposition. And while really, caring, caring, caring for my body. And my mind. And my spirit. After all, my patients call me “Dr. Sunshine,” right? I paid close attention to my thoughts. Whenever I noticed a “woe-is-me” thought, I refocused. I kept telling myself that I could do this. That it was only a few more hours left to work. And I kept focusing on how blessed and privileged I feel, to have this amazing job. By persistently “re-framing” my thoughts, and diligently guarding against despair, and carefully & gently tending to my body, I was able to get through the rest of the work day. As much as I love my work, I really, really love being a mother. It’s part of my dream-come-true life. 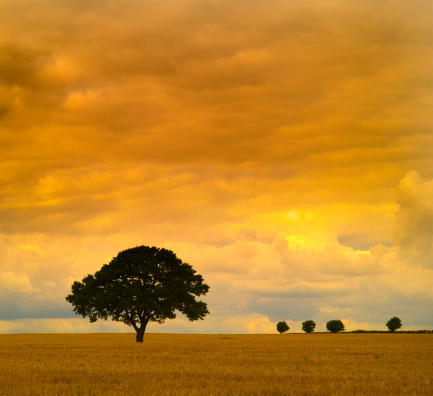 RELATED: Welcome to the “Creating Your Dream Life” blog! I returned home to prepare dinner. And then, it was my turn drive my son and his friend to a MYO (Metropolitan Youth Orchestra) rehearsal. By now, the pain was so severe, that I felt as if I were going to vomit. Rehearsal over, it was time to drive home and go to bed. The pain was too severe. So there was no sleep that night, or for the several nights that followed. Oh, the many, many “negative,” “woe-is-me,” even catastrophic thoughts that flood the mind, in the wee hours of the night and morning! When every attempt to turn over, is met with lightning bolts of pain shooting down the neck and spine! 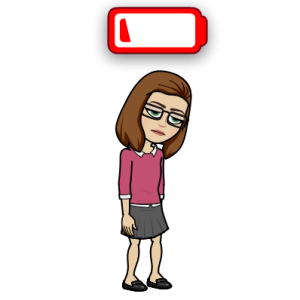 Yup – quite the pain and pity party! But, I refused to surrender to despair. 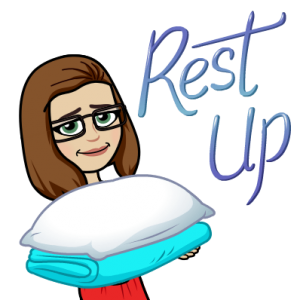 I gently and carefully tended to my body, with gentle (yoga) stretches; by applying a heating pad (for the first night only, I used ice for the following nights); and by reminding myself to breathe into the pain, rather than brace against it. Combined, these strategies helped to provide some much appreciated relief. Pacing is an excellent strategy to avoid “burst and bust” activity levels. Some types of pain (and fatigue) can result from ‘boom and bust’ patterns of activity. The person jumps into bursts of activity whenever they are feeling well — often ‘overdoing’ it — resulting in even higher levels of pain or fatigue. Pacing is a strategy that focuses on slowly increasing activity — from a low baseline — in a very carefully, controlled manner. As a result, the person is able to engage in much more consistent activity levels. Also, the person feels more in control, and less dependent upon how she or he is feeling, that day. Pacing is an evidence-based strategy of managing pain, rather than pain managing the person. On Saturday morning, we drove into Manhattan. Two and a half hours, for a drive that typically takes just over an hour. Sitting for such a prolonged amount of time, really increased the back and neck spasms. Fortunately, I had the wherewithal to roll up my jacket and place it in the small of my back. It helped tremendously. And, I diligently re-framed those “woe-is-me-I-really-hate-this-why-is-this-happening?” type of thoughts. And to breathe! We arrived, just in time to check into the gorgeous hotel. MYO had reserved block of rooms at the Park Central Hotel, across from Carnegie Hall. Checking in was smooth and seamless. I enjoyed a complimentary cocktail, while my son enjoyed an iced-tea and some snacks, in their beautiful lounge. Yay! Shoot! I realized that I had left the ticket to the performance at home! No worries. We walked across the street to the Carnegie Hall box office. They re-printed my ticket for me. Smooth and easy. My son had never visited Central Park, so we took a stroll. The smile on his face was worth the effort needed to continue to move. And, moving was so much easier than remaining seated, for any amount of time. After walking through Central Park, we headed to the amazing Beyond Sushi for a delicious vegan dinner, before returning to the hotel, to turn in, for the night. Again, no sleep. Waaaaaay too much freakin’ pain. But I decided that I would NOT be joining the Pity Party, this night! We are in freakin’ NYC, right across from Carnegie Hall, and steps away from Central Park. I mean, c’mon — this is AWESOME! Again, more gentle yoga stretches, more breathing, and MANY more “re-framed” thoughts, provided some relief. 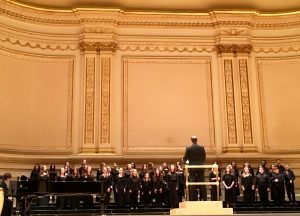 The next morning was the performance at Carnegie Hall! What an incredible experience for these young performers. The only hitch — remaining seated for an entire hour, really aggravated my back. By the time of the intermission, I could hardly see straight. So, I met my son at the pre-arragenged pick-up site. Another adaptive move, by listening to and gently caring for my body. Our last stop was a promised visit to the American Museum of Natural History. We hopped on the subway for the easy trip up to 79th street. Before entering the AMNH, we ducked into Blossom du Jour for another (quick) delicious vegan meal. Then, on to the museum. I smile every time I see these incredible buildings. Every. Single. Time. I allowed my son to direct our course through the museum. The smile on his face helped to quiet the burning muscle spasms that continued to spike, like lightning bolts, along my entire spine, and into my neck. And then, we entered the blue whale exhibit. 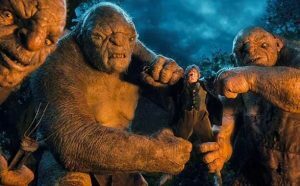 By this point, I could no longer walk without feeling as if the monstrous mountain trolls from “The Hobbit” were attempting to rip my right leg out of it’s socket. Beads of sweat from the barely suppressed pain were spotting my forehead. 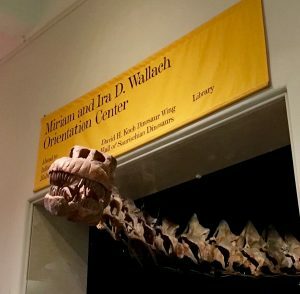 As we entered the exhibit from the 2nd level, I sized up the room for my options. I peered down at the people seated, scattered about the parquet floor, under the giant blue whale. But… this option seems… socially inappropriate? Maybe…. But my body was screaming at me “REST, DAMMIT!” — so, sitting was not going to cut it. I hobbled down the stairs, located a spot, spread my raincoat onto the floor, and gingerly laid my weary and pain-racked body down. You wouldn’t believe what happened next! Just moments later, a mother and her young daughter laid down, adjacent to me. And then, another couple followed suit. And then, another family. And then, a group of teenagers. 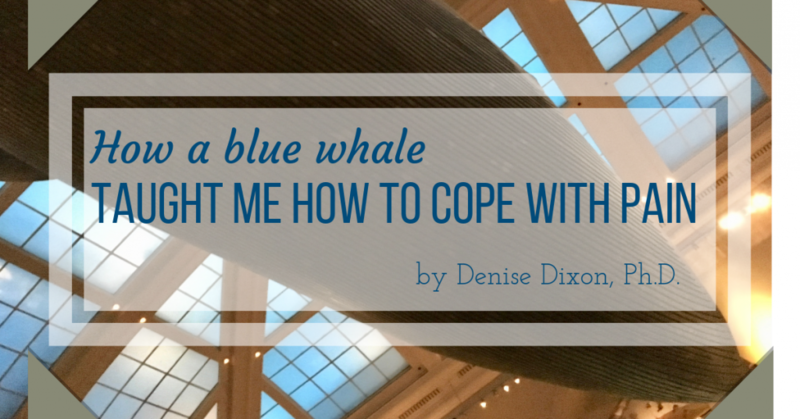 By listening to my body (and the Giant Blue Whale), and caring for my body, I started… a THING. At least, for that day. I’ll bet that lots of folks love that view! It took another two weeks to heal. and all is well now. Changing mindset and caring for our bodies can be excellent strategies to manage pain. UP NEXT: Why is sleep surprisingly important for good health? What do you think about this post? 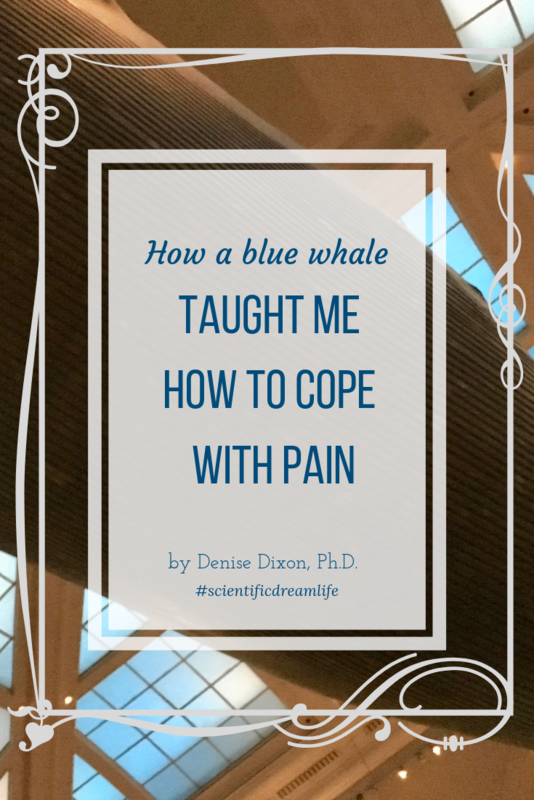 How do you typically manage your pain? Really looking forward to reading and responding to your comments! Thank you so much! Denise I loved this post! For your analogies, your step by step breakdown and for knowing how excruciating back pain is. I suffered from it from time to time; blinding stuff. 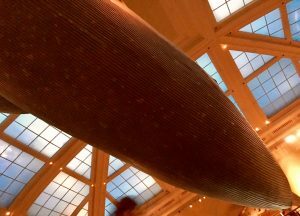 The blue whale at the museum is so monstrous and huge and peaceful too; his smile was the Universe speaking to you, to let go social convention and just be and relax. Animals and their images are always teaching, communicating and opening us up. We just need breathe in the pain, become present, and like all feelings, passes, so we can tune into the world around us. Wow – thank you so very much, for your generous and amazing comment, Ryan! Would you believe that you inspired me to write this post? I took your suggestion — to “get personal” — to heart. One of those somewhat uncomfortable, yet ultimately freeing actions. Because my love of freedom is much stronger than my desire to remain comfortable. Sound familiar? 😉 Thank you again for the comment, and for all of the amazing inspiration that you provide, over at Blogging From Paradise!